One of the things I was a bit nervous about after I chopped off 10 inches of my hair, was how that would affect my haircare routine and styling techniques. At first, I panicked because my techniques that I spent 9 years perfecting didn’t work… so I had to go back to basics and I’m having so much fun with my hair tools! I’m working on a more detailed blog post (maybe video as well) on how I blow dry, straighten and curl my shorter hair, but today I wanted to show you guys the latest addition to my hair tools collection, and maybe convince some of that you that it won’t make your hair look like you’ve just come back from the 90s! 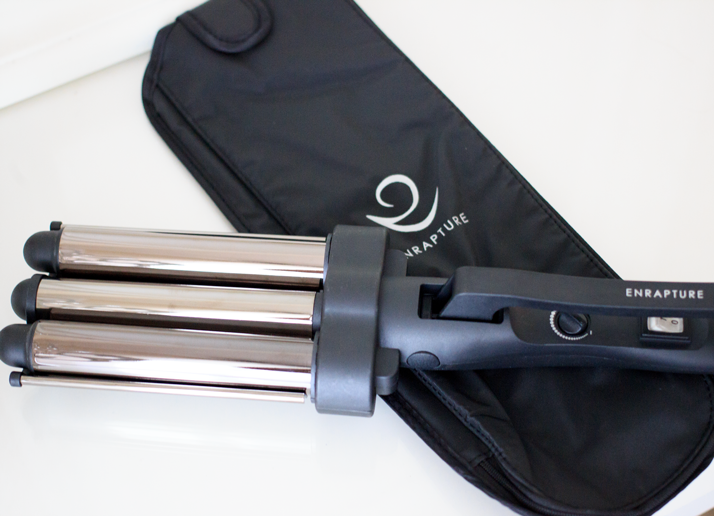 This is the Enrapture Amplify Jumbo Waver, a 3-barrel curler which creates defined S-waves. 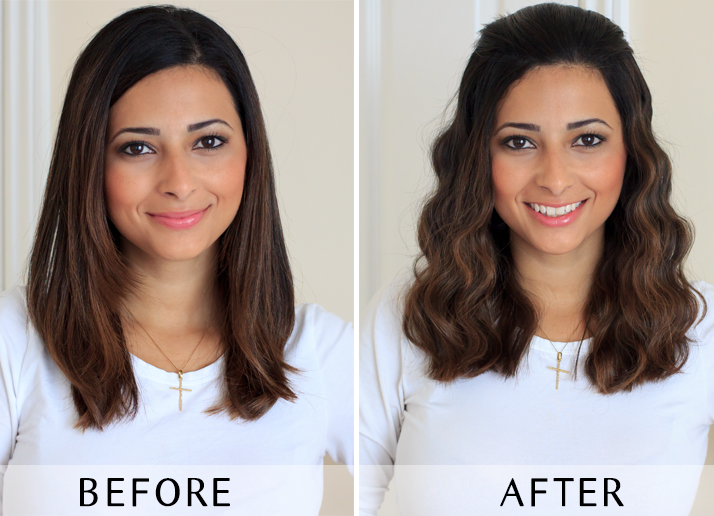 What essentially differs it from a crimper, is that the Jumbo Waver barrels are larger (25mm), creating more natural-looking wider waves, instead of the tight and narrow waves you would get with a crimper. It comes with a heat-resistant pouch, so you can put your Jumbo Waver down without worrying that something will catch on fire. It also comes with variable heat settings to suit your hair type, from 170 to 210 degrees Celsius. 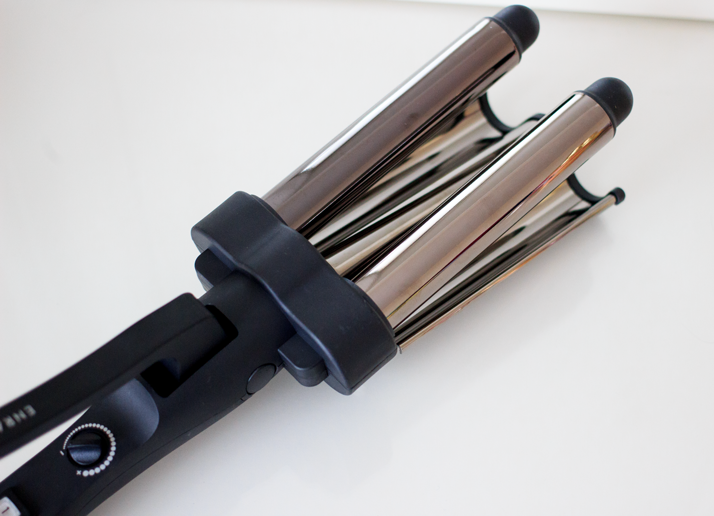 The handle has a nice and secure grip, which is essential with the Jumbo Waver – when you’re trying to juggle hair and a pretty heave piping hot device, you want all the grip you can get! 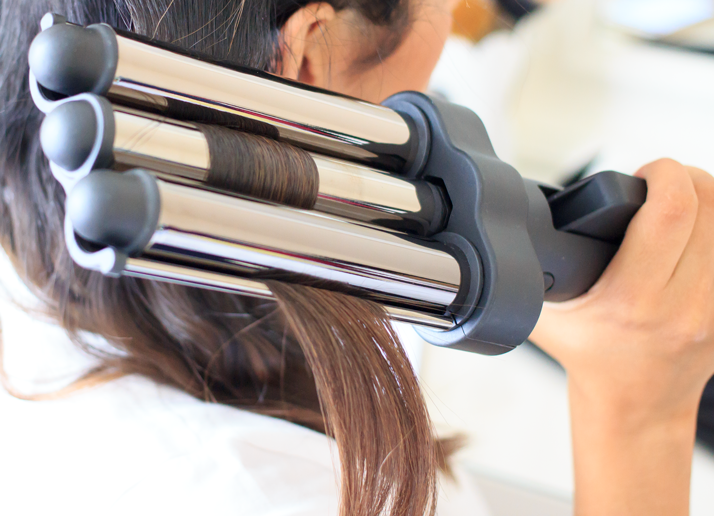 It’s designed with 2 barrels on one side and 1 barrel and 2 indents on the other side; your hair goes in the middle and you squeeze the Jumbo Waver by the handle, squashing your hair into an ‘S’ shape. The longer you leave and the harder you squeeze, the more defined your waves will be. 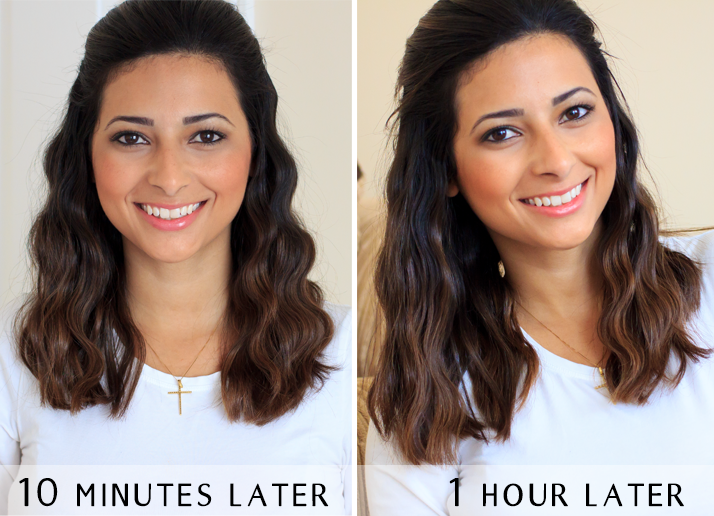 If you’re like me and you want more natural-looking waves, don’t hold the Jumbo Waver so close to your roots – especially if you have medium/short hair; try to start from your ears down, or your hair might end up looking frizzy instead of wavy. Overlapping the waves will make it look more natural and will help the waves blend into each other. Make sure you wave the very ends of your hair to avoid the ‘balloon effect’ (volume at the middle and flat and at the bottom). If your waves are looking exactly how you want them to look when your hair is still hot, they will be much flatter in an hour or so when your hair is fully cool. To avoid that, hold the Jumbo Waver tighter and for a little bit longer; that way, when your hair cools down and the waves drop, they’ll look exactly how you wanted them to look before. Alternate between sections from both sides to allow your hair to cool down evenly, instead of one side always trying to catch up with the other side. Patience and practise make perfect; don’t try it for the first time when you only have 5 minutes to get ready. 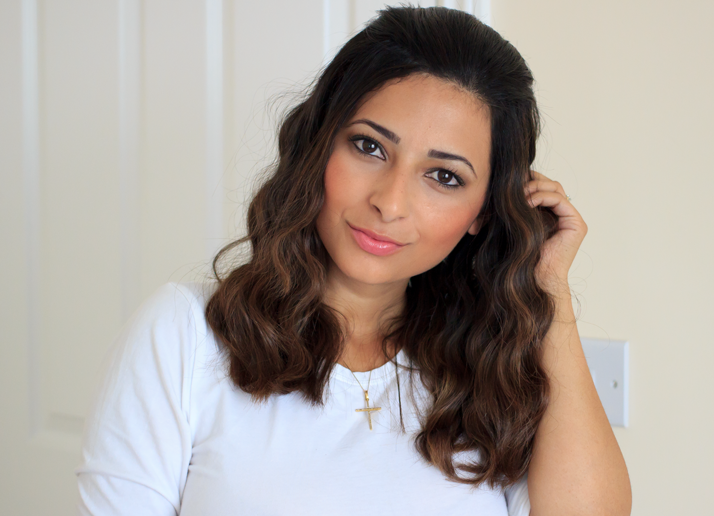 The Jumbo Waver can be a bit tricky due to it being heavy and slightly different to most hair styling tools, but the results are totally worth it! Before, my hair had previously been washed and blow dried the day before, and the ‘After’ shot was straight after I finished using the Jumbo Waver. Look at that volume!!! And that’s because I didn’t wave the top layer of hair, which I pinned back – imagine if I had! On the next photo you can see how the waves had already dropped after 10 minutes, and how much flatter it looked after an hour. I quite like the way it looked after the waves dropped, but If was going out somewhere, I would probably use some hairspray to hold them in place a bit longer. 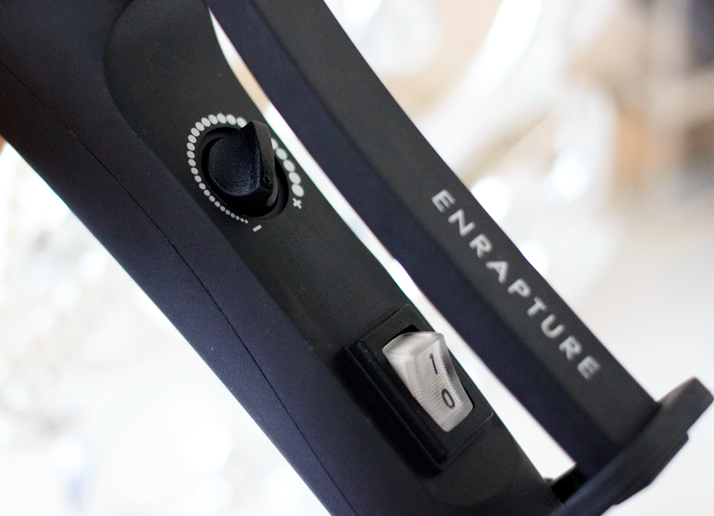 Overall, I found the Enrapture Amplify Jumbo Waver moderately easy to use; if you have weak arms like me, they’ll be a bit sore after you finish doing your hair – and if you have long hair I feel for you! However, the results are much nicer than I expected; at first, I thought I the waves were looking a bit 90s-esque, but then I got the hang of it, and I was able to make the waves look more beachy and relaxed, rather than outdated. 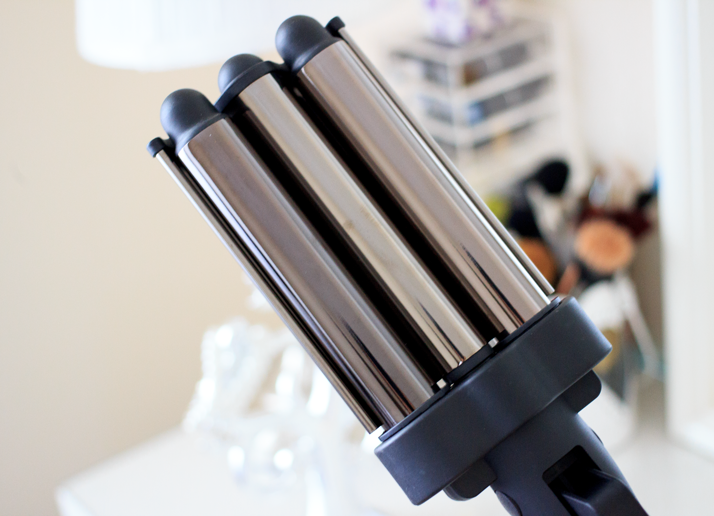 I would highly recommend giving this styler a go if you like the look of wavy beachy hair with a lot of volume. I used to have a waver. It was MUCH smaller than this one and it look terrible. This one seems to give a more wavy look verses crimpy. I think this looks great on you. I’ll have to work on my arm muscles so they don’t get tired doing this than! it is super wow…. i really need this…. Hi Ysis! Love your blog, you are such a gorgeous and talented woman :) I actually prefered the “before” look in this post, you have amazing hair naturally! 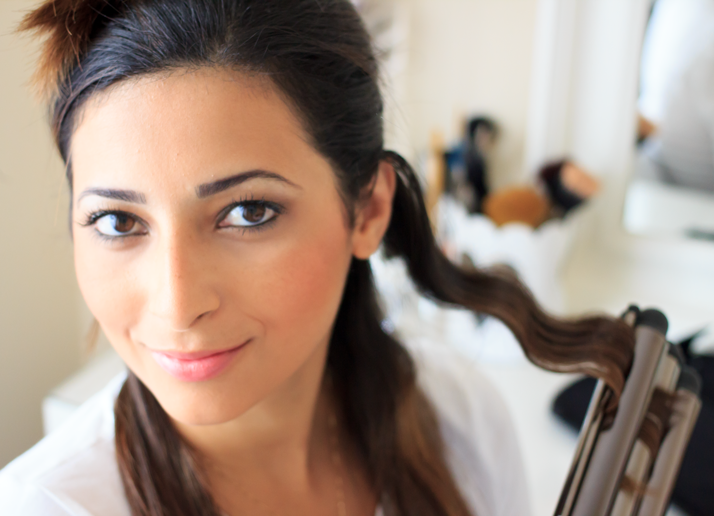 Wow, I am tempted to go out and buy a pair of these curlers I love the results! Your hair is gorgeous! I’ve always wanted to try one of these out! It looks great after they settle in a bit. I’m very tempted to buy one now. So I totally just stumbled upon your blog on google somewhere and I must say, I’m in love and totally hooked. I have already followed!